Developing all-in-one portable solutions for fully automated point-of-care diagnostic testing. 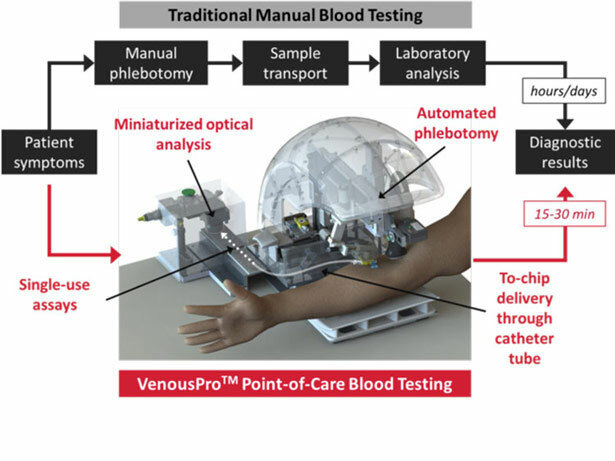 VascuLogic is developing blood sample analysis technologies that work with the VenousPro™ venipuncture device to deliver critical hematology information within minutes following the blood draw. By integrating sample analysis with the automated blood draw, VascuLogic is enabling an all-in-one portable solution for fully automated point-of-care diagnostic testing. VascuLogic's VenousMobile™ works with any Android or iOS mobile device to assist practitioners in performing image-guided venipuncture. VenousMobile™ provides an ultra-low-cost alternative to commercial 2D infrared imaging devices currently on the market. The system consists of a miniaturized peripheral that attaches easily to wide range of smart phones and tablets, and a downloadable software app. The imaging system uses miniaturized infrared light arrays to enhance vein contrast, allowing improved visualization across all patient demographics. 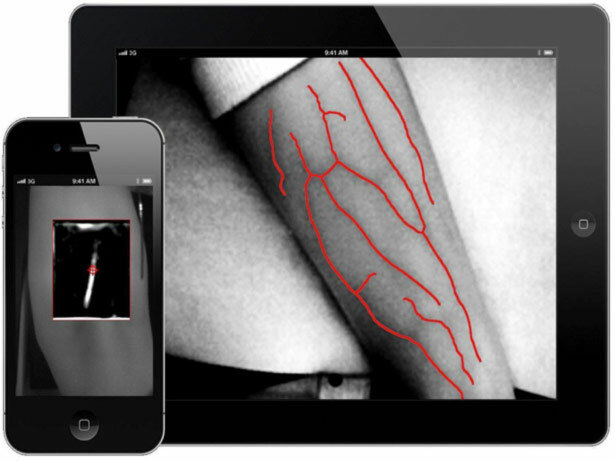 The software app provides contrast enhancement, vein segmentation, and real time vein and needle tracking. VenousMobile™ is currently being validated through multiple adult and pediatric imaging studies.